Members Area for rewards members with special offers, discounts and VIP access to details on events and info about the happenings at our 3 locations. This program is not targeted towards, nor intended for use by, anyone under the age of 18. The registration process may require that you provide the following information: username, password, email address (required in order to receive all eligible Rewards). All of your Steeles Royal accounts can be activated and registered for use in Royalty Rewards, but you may only have one (1) account that is personal to you. 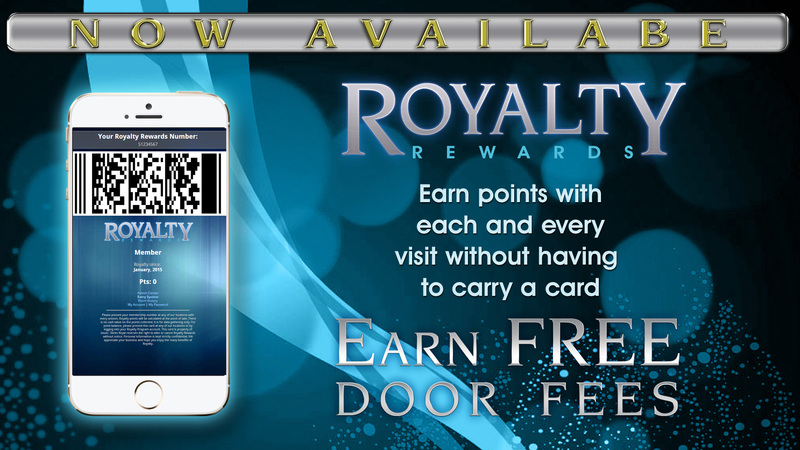 There are no membership fees associated with Royalty Rewards. Points accumulated under the program are promotional and have no cash value. Royalty Rewards are personal to you and may not be sold, transferred or assigned to, or shared with family, friends or others. You may have only one (1) Royalty Rewards account. Steeles Royal reserves the right to terminate, discontinue, modify or cancel the Royalty Rewards program at any time and in its sole discretion without notice to you. We appreciate your business and hope you enjoy the many benefits of Royalty.